Yellow jackets are quite aggressive and eliminating an entire nest of them is more than most homeowners care to tackle. 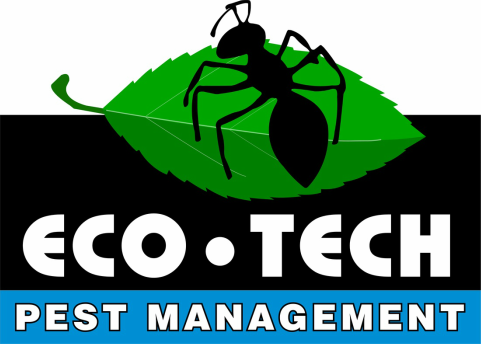 We at Eco-Tech provide fast, safe yellow jacket elimination. Unlike most yellow jacket treatments, which can only be done at night when the entire colony is inside the nest, our treatment can be done at any time. This allows us to schedule services when it is convenient for you and eliminates the need for costly after-hours charges. All of our state-certified technicians come equipped with a fully protective bee suit which allows them to get up close to the nest and treat it thoroughly without having to worry about being attacked. As with all of our services, this treatment is backed with a written guarantee. 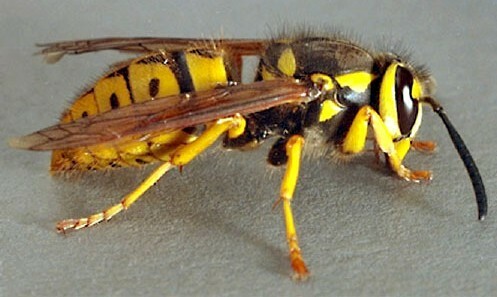 Description: Yellow jackets have alternating black and yellow bands. They are between ½ and ¾ inches long and have a thin wasp-like waist. Nest: Yellow jackets make their nests out of paper which they produce by chewing up wood and mixing it with their saliva. They prefer to build nests in trees or underground inside abandoned rodent burrows, but they will also nest inside attics, wall voids, eaves, and sheds. Sting: Yellow jackets are very protective of their nests and are capable of stinging multiple times. Most people only experience localized pain, itching, redness, and swelling when stung, but people who are allergic can have more severe and even life-threatening reactions. You should seek emergency medical attention if you experience any of the following symptoms : abnormal breathing, tightness in chest or throat, dizziness, fainting, hives, nausea or vomiting. Life Cycle: Each year, fertilized queens from the previous year emerge from their winter shelters. The queen begins to construct a small nest in which to lay her eggs. The nest contains individual cells and a single egg is laid in each one. The eggs soon hatch into grub-like larvae which are fed and cared for by the queen. When the larvae are fully grown they spin silk cocoons inside their cells in which they pupate. They emerge as sterile female workers which take over nest building and foraging for the queen. In the late summer the female workers start to develop into queens at which time the queen begins to lay unfertilized eggs that develop into males. The males are unable to sting and their only purpose is to fertilize the newly developed queens. Shortly after mating the males die. In northern climates, the only members of the colony that survive are the queens which leave the nest to find a safe place to spend the winter. Each queen will start a new nest the following spring. At its peak, most nests will contain 1,000 to 3,000 individuals. In warmer climates, yellowjackets may use the same nest for more than a single season and colonies of over 100,000 individuals have be documented. Diet: Yellow jackets eat foods that are high in sugar and carbohydrates, such as fruit and nectar. Adult workers will forage for insects and other sources of meat which they feed to the larvae. The larvae secrete a sugary substance which the adults consume. Yellow jackets are known to scavenge for human food, especially later in the season when their natural food sources begin to diminish. They can be a major problem at picnics and are especially attracted to juice, soda, fruit, sweets, and meat.